LSC technology has been the subject of extensive research for over 40 years. Soliculture is the first company to fully develop and commercialize a viable LSC technology for large scale installations. Soliculture's LUMO greenhouses have been generating power internationally for over 4 years. 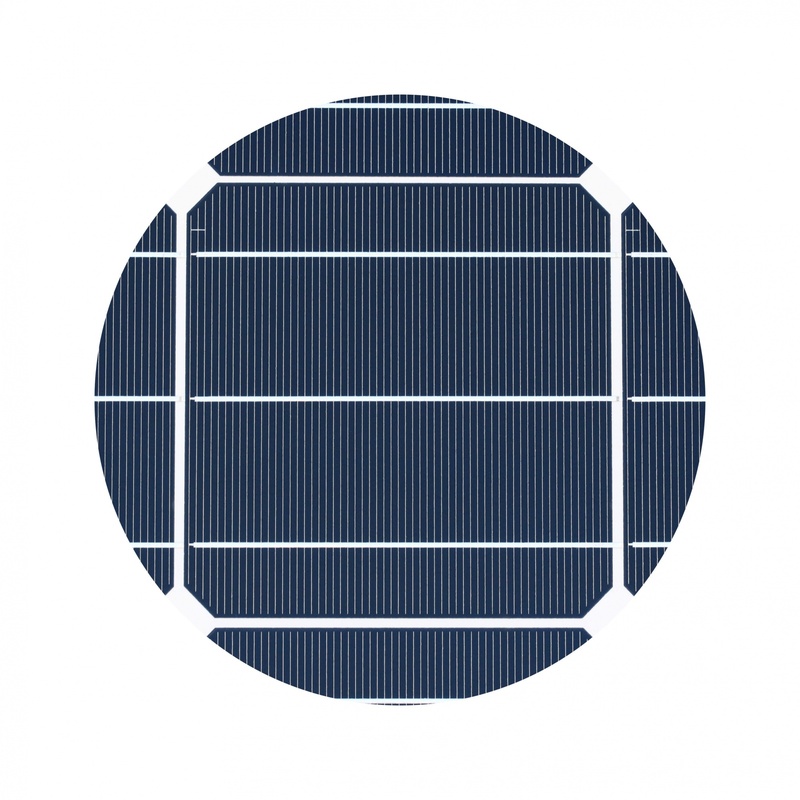 Soliculture partnered with Solaria Corporation to commercialize the LUMO solar panel. 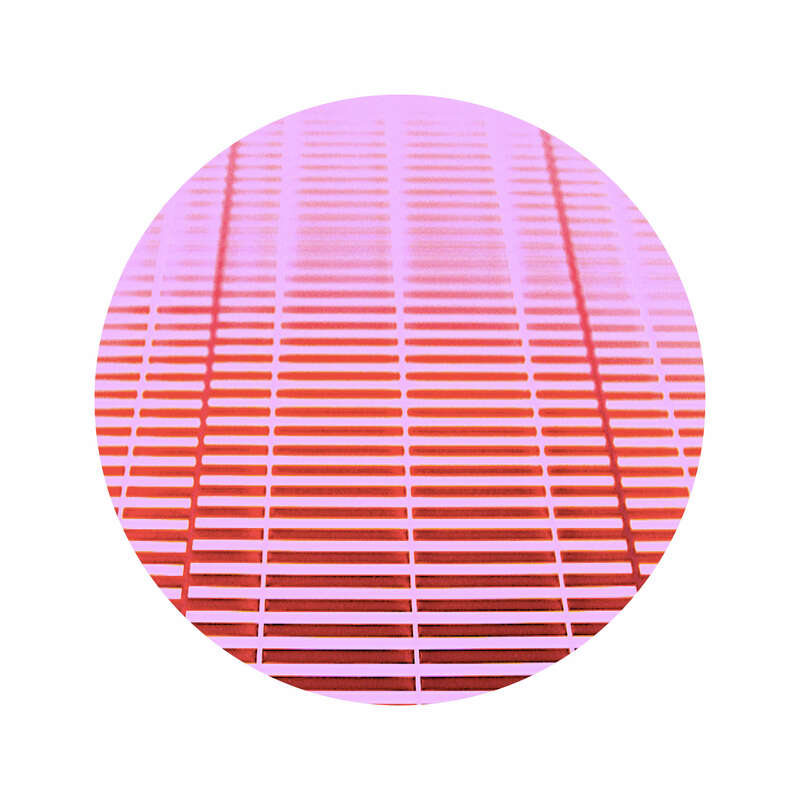 These transparent panels contain a low density of silicon photovoltaic (PV) strips arranged periodically on a panel of glass, allowing light to transmit between the strips. A thin layer of luminescent material is adhered to the backside of the glass, enhancing light quality by converting green light to red light. The optimized light spectrum enhances power production and facilitates plant growth. LUMO solar panels are ideally suited for crop production areas of your greenhouse, where maximum light transmission is desired. The core LUMO technology is a light-altering dye that converts green light to red light. Red light has the highest efficiency for photosynthesis in plants. 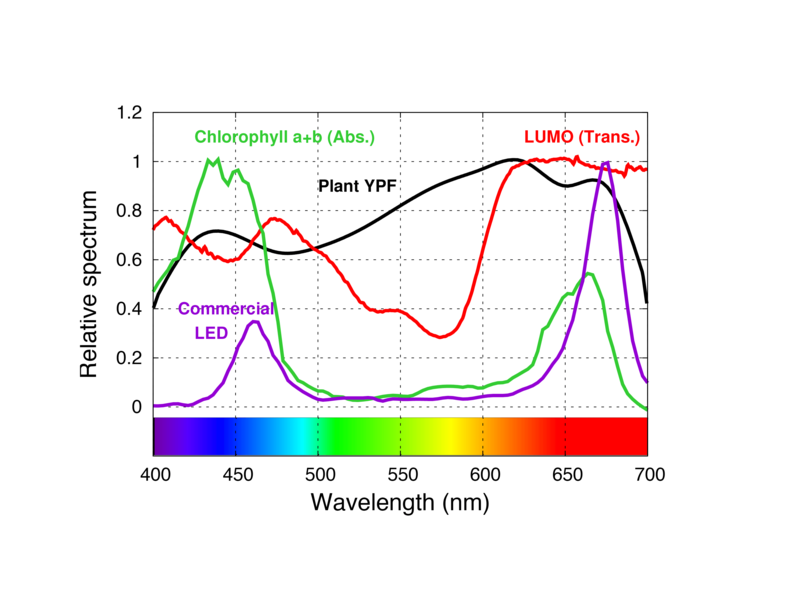 The absorbance of chlorophyll a and b, two pigments found in plants that are critical to photosynthesis, highlights the fact that plants absorb in the blue and red portion of the spectrum, and not in the green. In extensive plant trials, crops under LUMO have experienced positive growth responses, including increased yield, faster time to maturation, and disease resistance. 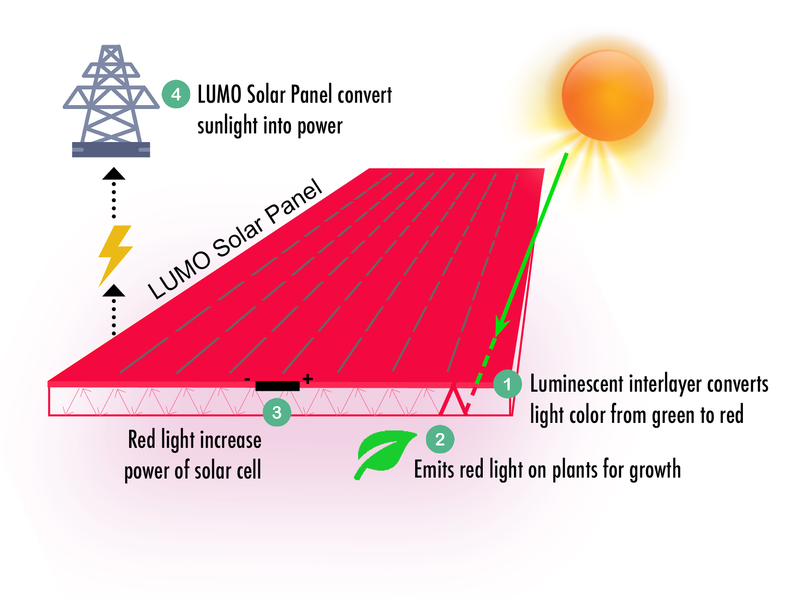 A schematic shows LUMO’s enhanced red light both increases electricity production and optimizes the light spectrum for plant growth. Transmission of LUMO, which absorbs green light and converts it to red light, enhancing light quality for plant growth. Soliculture’s Standard Density (SD) panel supplements LUMO by enabling high-efficiency power generation in non-production areas of your greenhouse, like those used for packing, processing, and storage. Together, LUMO and SD solar panels can optimize your greenhouse for energy-generation, create eligibility for capital-saving solar incentives, and decrease operational expenses for 25+ years. Standard Density (SD) panels offer the highest efficiency solar panel for your greenhouse. These solar panels block 100% of incoming light and convert it to electricity using industry-standard photovoltaic technology. SD solar panels are ideally suited for working areas of your greenhouse, where minimal light transmission is acceptable. Soliculture offers SD panels as a frameless, single pane glass module, allowing compatibility with many common glass greenhouse designs, such as wide-span and venlo styles. These solar panels can be customized to any greenhouse glazing dimensions. This design negates the need for costly solar panel racking materials. Installing SD solar panels into your greenhouse roof is the most economical solution for solar energy generation in agriculture.